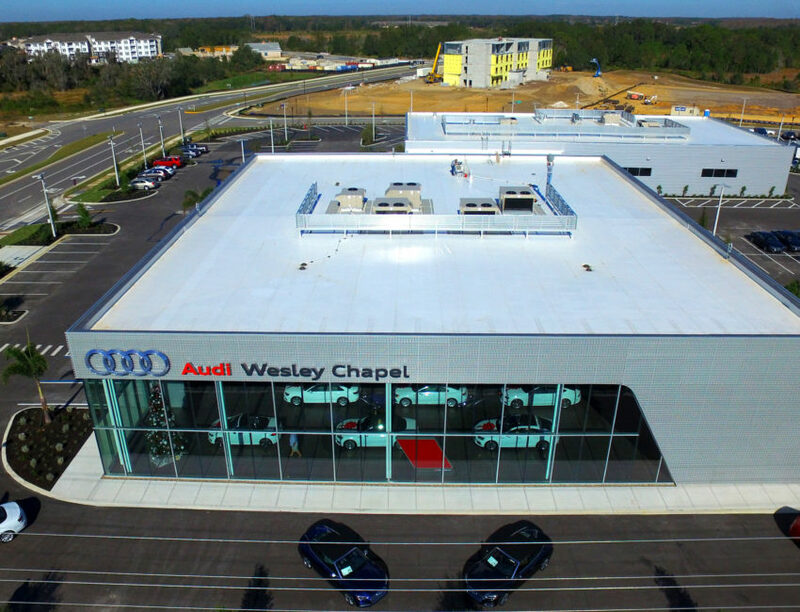 Audi Wesley Chapel – Spring Engineering, Inc. 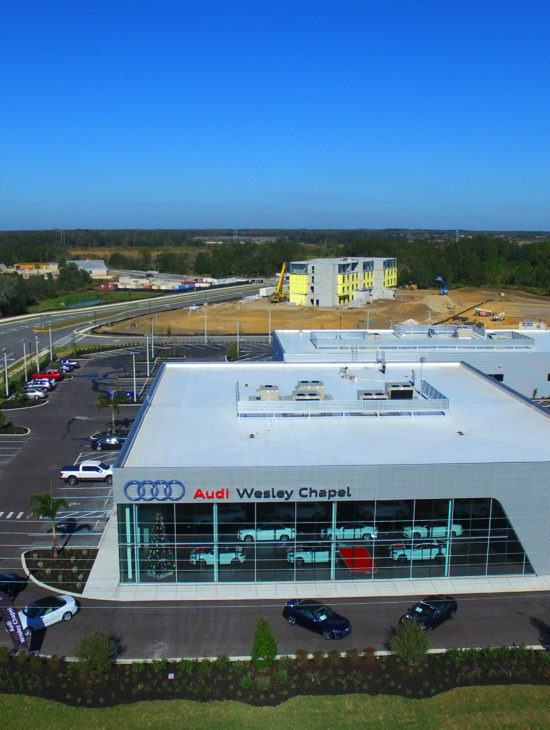 This is a brand new state-of-the-art Audi Dealership facility. 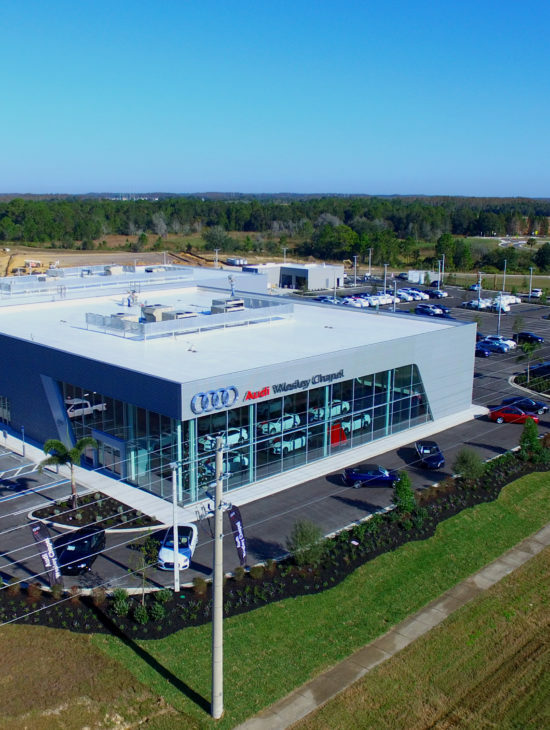 The construction consisted of a 36,000 +/- SF dealership building with a modern 10-car display showroom and 1,984 SF Carwash on a 5.4 acre site.